A software-defined radio system, or SDR, is a radio communication system where components that have been typically implemented in hardware (e.g. mixers, filters, amplifiers, modulators/demodulators, detectors, etc.) are instead implemented by means of software on a personal computer or embedded system. While the concept of SDR is not new, the rapidly evolving capabilities of digital electronics render practical many processes which used to be only theoretically possible. Learn all you need to now about SDR by watching these Video’s. 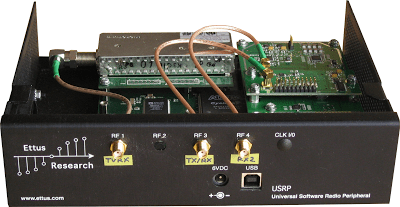 Designing the Mercury SDR Receiver recorded at TAPR 2008. The whole series is about three hours, but they are absolutely worth watching. Phil Harman VK6APH wrote the software for the groundbreaking Mercury Software Defined Radio receiver, the first ham radio SDR receiver to digitize a wide RF stream basically at the antenna connector and do everything in software. In 2008 he described the process in great detail as he presented the TAPR Sunday Seminar at the DCC in Chicago.